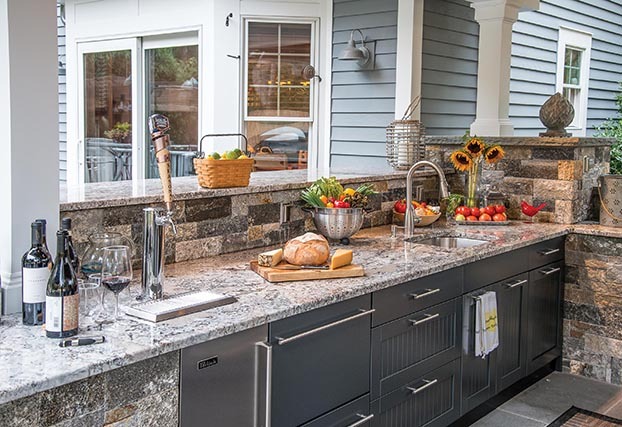 Danver manufactures an extensive line of stainless steel cabinetry, under the Danver Stainless Outdoor Kitchens and Brown Jordan Outdoor Kitchens brands. 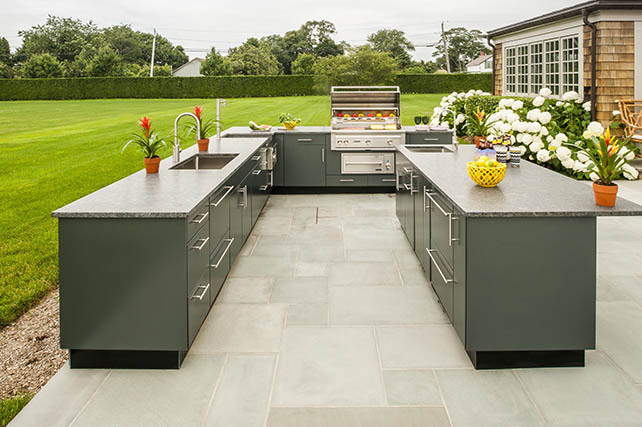 Offering an array of designer colors and door styles, these cabinets are designed to accommodate even the most creative layout and fit any outdoor appliance, creating custom kitchens for your outdoor living area. 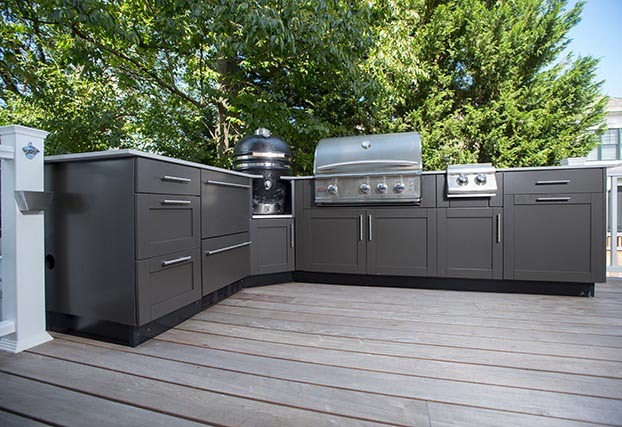 Cocktail parties and evening festivities leave lasting memories in this Danver Stainless Outdoor Kitchen with a Cherry Flame wood grain powder coat finish on stainless steel. Bring your next outdoor gathering to the next level with a colorful and clean powder coat finish. An outdoor space that makes any meal a gathering place! 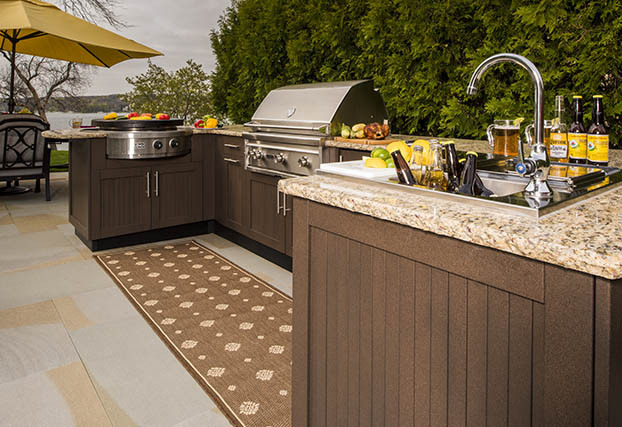 This Brown Jordan Outdoor Kitchen features the Key West Door style powder coated in Pompeiian Gold. 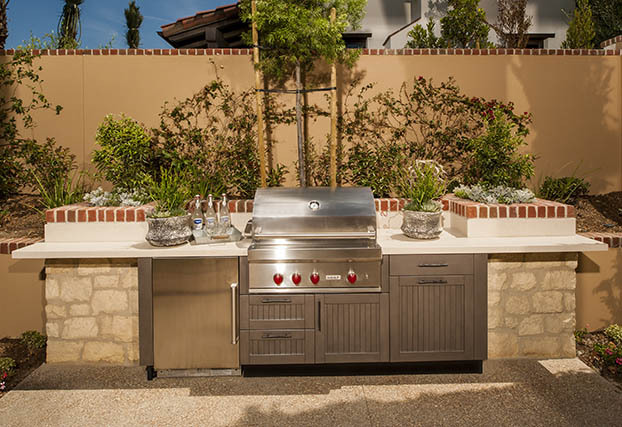 Created for outdoor entertaining, this space features stainless steel cabinetry with Hampton doors. The look of stone and steel provides a sleek and traditional design. 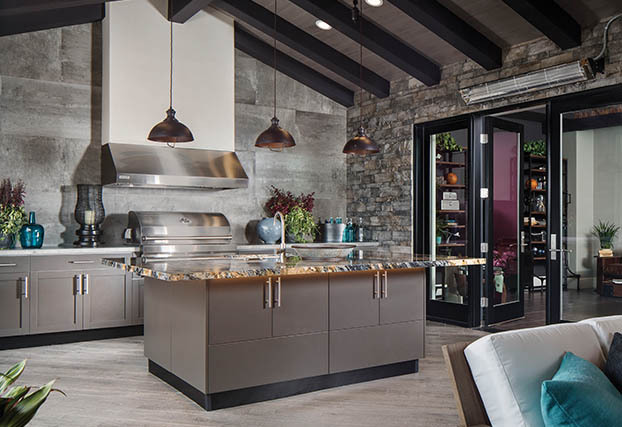 This beautiful combination of natural stone and Brown Jordan Outdoor Kitchens’ Bead Board door, powder coated in Versailles, creates the perfect look for this home in California. Key West door style brings a modern look to this deck, creating a look that is both stunning and fully functional. Powder coated in Metallic Bronze Matte by Danver. Stylish and distinctive Bead Board doors, with 1 ½” wide verticals crafted from stainless steel, with a special order powder coat color. 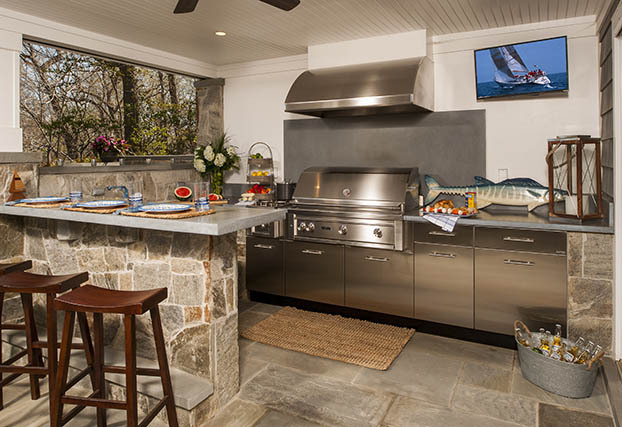 From Brown Jordan Outdoor Kitchens. 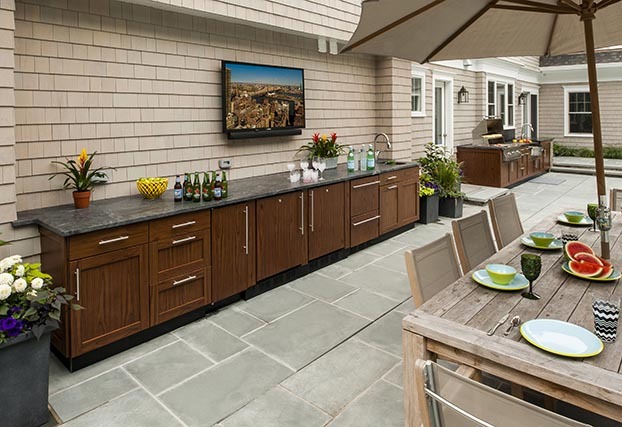 This outdoor entertainment space features Danver cabinetry’s Key West door powder coated in the realistic Cherry Flame wood grain, providing the look of real wood without the maintenance. Transition rooms, or “California rooms”, blend the indoor living space with the outdoor entertaining space seamlessly. 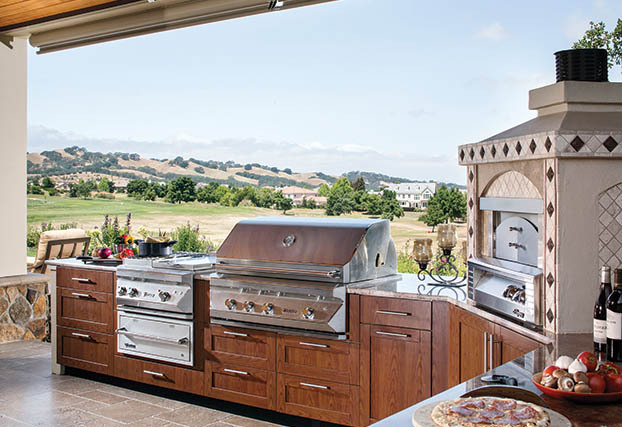 This “California room” features cabinetry by Danver Stainless Outdoor Kitchens. 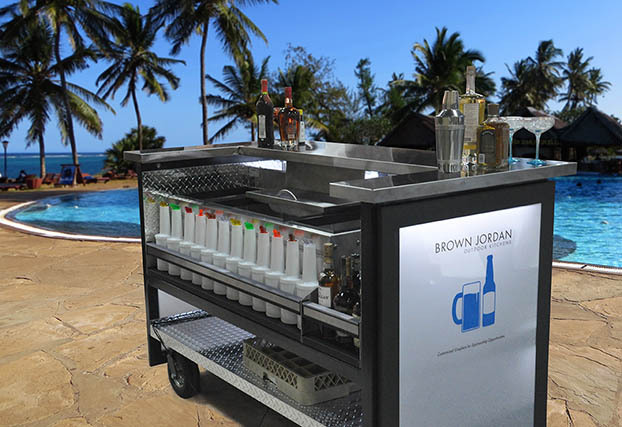 Event planning has extended its reach through the versatility and durability of our commercial-grade stationary and mobile hospitality carts with interchangeable back-lit advertising panels. Urban and rural landscapes or rooftops and multi-family spaces, the location of your outdoor living space is no longer a concern, as the color and style options available to you. 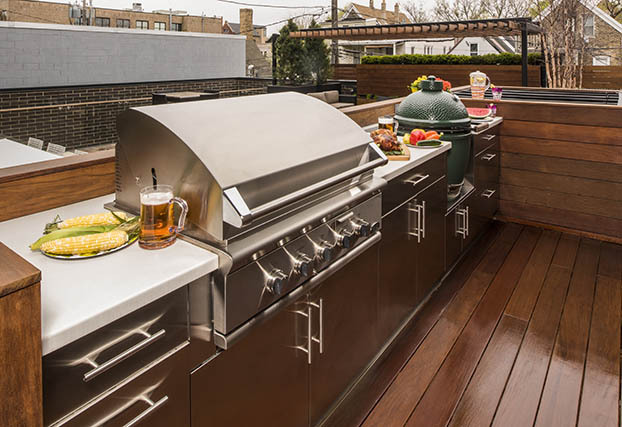 No matter the audience, Brown Jordan Outdoor Kitchens compliments the ambience. From lobster to lamp chops, your guests will be most impressed by the stylish and exquisite look. 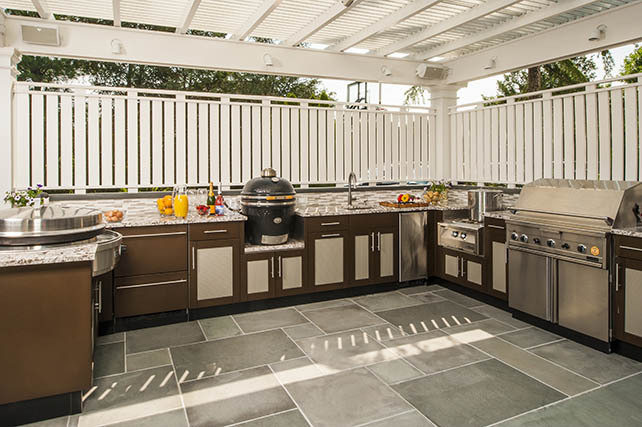 Outdoor Kitchens, Stainless Steel Outdoor Kitchens, 7 unique door styles, Stainless steel cabinets in hundreds of sizes, dozens of powder coat finishes in realistic wood grain and colors, frameless, European styling. All doors, drawers, and cabinet boxes are manufactured from 100% 304-grade stainless steel; 316-grade is also available. Various cooking/cooling/bartending appliance options available through our brand partners, made in the USA.